What Can I Eat on Keto? How Much Should I Eat on Keto? Embracing a keto diet and lifestyle may not be a walk in the park for everyone. It’s a pretty huge change, right? 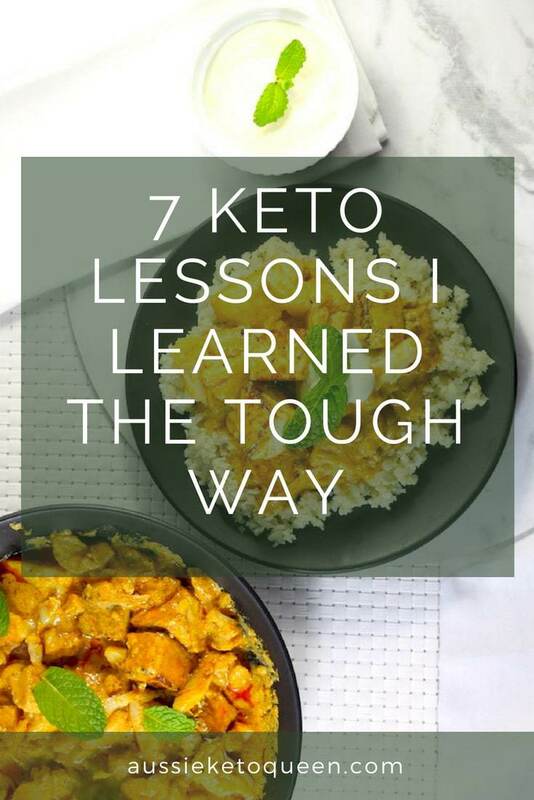 Here I decided to share some keto lessons I learned the tough way that will help you avoid making the same mistakes. 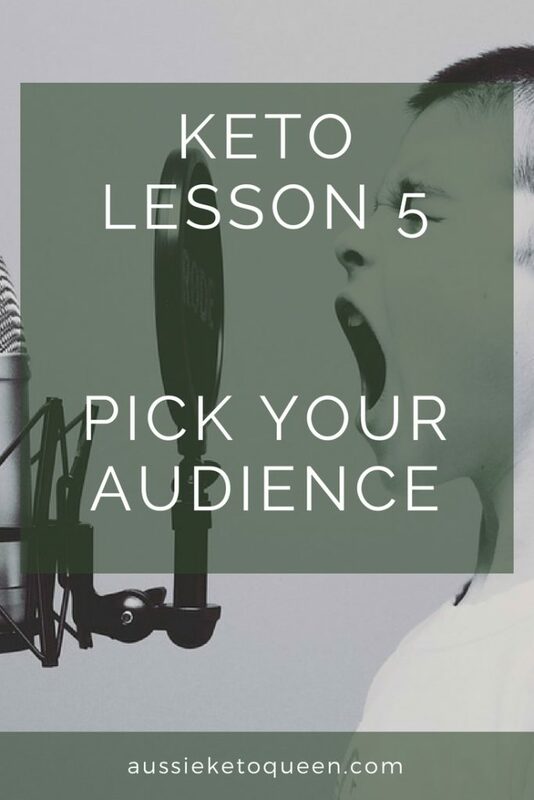 Here are some of what I consider are the more important lessons a keto newbie will need to know as they start out in the keto lifestyle. Ignore at your own peril, as I did! Sometimes it’s hard to remember what it was like to be new to a diet. 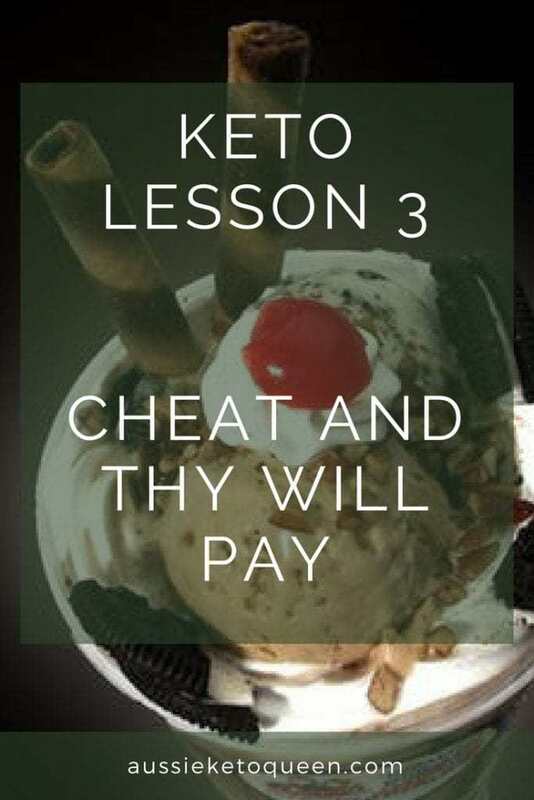 I find myself thinking sometimes about how easy the keto diet is, but I forget that all those years ago, I learnt some valuable keto lessons by making mistakes. Don’t beat yourself up if you do make a mistake, it’s just an opportunity to learn more and more. What are your top Keto Lessons you would want every new person to know? Comment below! Calorie counting is a great tool for people to use to get a rough idea of caloric intakes, as well as a way to pinpoint mistakes they might have made if they hit a plateau. When on a keto diet, most people will naturally eat less. 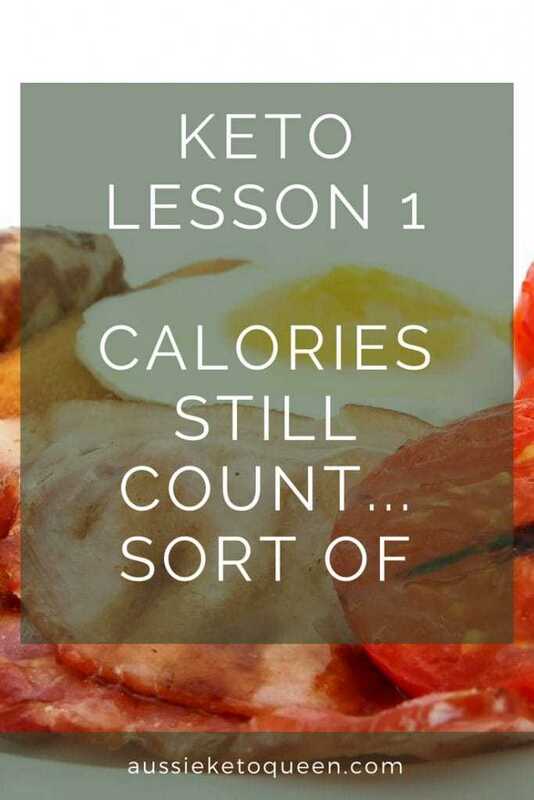 For this reason, many won’t need to count calories on a keto diet. However, just following a diet low in carbs, moderate in protein and high in fat doesn’t guarantee weight loss. It helps to keep an eye on your fat and total calorie intake . This doesn’t mean you have to restrict yourself massively and only eat 1000 calories a day – don’t be crazy! 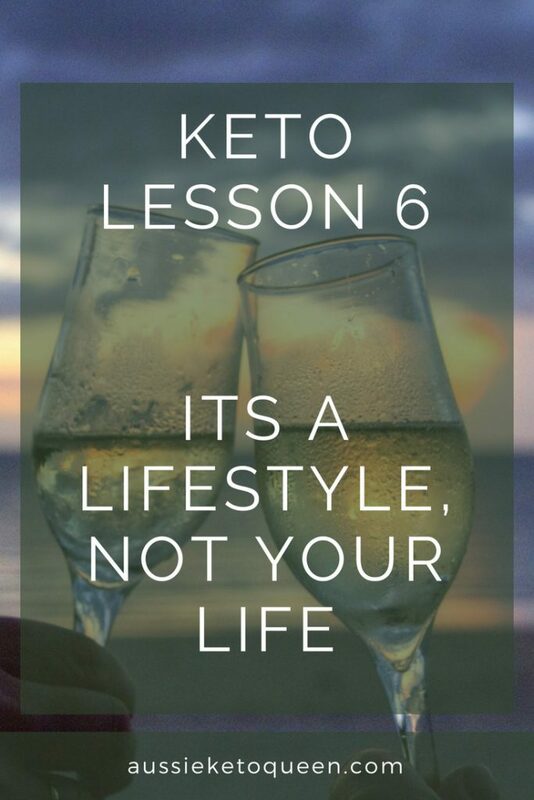 The keto diet is a lifestyle change (biggest keto lessons out there) so it MUST be sustainable. What I am saying is that don’t think you can drink a carton of cream because it’s low carb and lose weight. While the old calories in vs calories out theory has been debunked, consuming huge amounts of food, even if it is low carb, will have an effect on your insulin and ultimately make your weight loss slower. Keep things reasonable. Eat when truly hungry and stop when full – not stuffed. As you get closer to your goal weight, you’ll notice that weight loss slows down dramatically. I found shifting the final 2 – 3 kgs almost impossible – until I realised that I didn’t NEED to lose another 2- 3 kgs. I had reached my healthy weight ‘range’ not my healthy weight number that I had randomly decided I had to be to feel like a worthwhile human being. Review your goal weight and review it often. Make it a range. The very low-carb nature of a ketogenic diet can change the way your body handles electrolytes and water, increasing your likelihood to experience electrolyte imbalances and dehydration when you’re first starting. This continues throughout your ketogenic journey and not just at the start. When you drastically cut back on carbs, your body produces less insulin and glycogen stores are depleted. As the stored carbs are depleted, the kidneys start excrete more water. If you’ve done keto before, you may have noticed that you lost a lot of weight early on and felt less bloated. This is water weight resulting from the excretion of water. With this flush of water, however, important minerals called electrolytes are excreted too, causing electrolyte imbalances. So, don’t forget your electrolytes! Bone broth is a great way to get it in, click here for more info. These are all symptoms of keto flu, which occurs during the initial period where our bodies are adjusting to the lack of carbohydrates and switching to a state of ketosis. This means stored fats are broken down to produce energy. Electrolyte imbalances can happen to those who are new to the ketogenic diet, but also when you have a crazy carb binge. I learnt this the super hard way one time after I went camping and then ate a WHOLE pack of Oreos in one sitting. No one is perfect, not even The Aussie Keto Queen! We all cave sometimes. The important thing is to remember how you feel afterwards. There was another time where I indulged in some amazing ice cream, way too much, and sugar crashed so bad I felt like I was drunk. It’s not pretty. 1/10 – would not recommend. 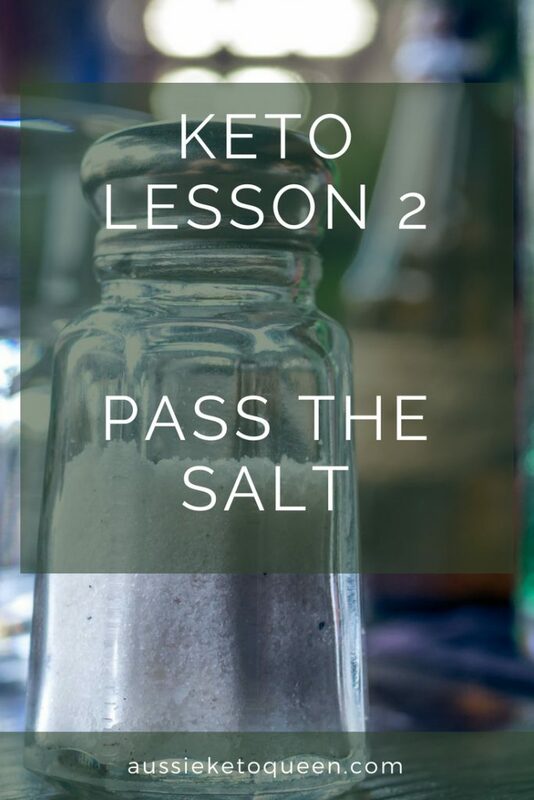 This is one of the most important keto lessons that everyone has to learn the hard way. Weight loss means that your clothes will no longer fit. A huge plus, but a bit of negative at the same time. I remember when I had my first big drop and was down from a size almost 16 to a small 14. I was over the moon… but felt a bit crappy because I’d bought a heap of clothing to hide the weight I’d put on, that now hung off me. So, I went and bought some great new jeans and a few nice tops for going out dinner. They lasted about a month because I was still losing weight, and ended up at the op shop themselves. 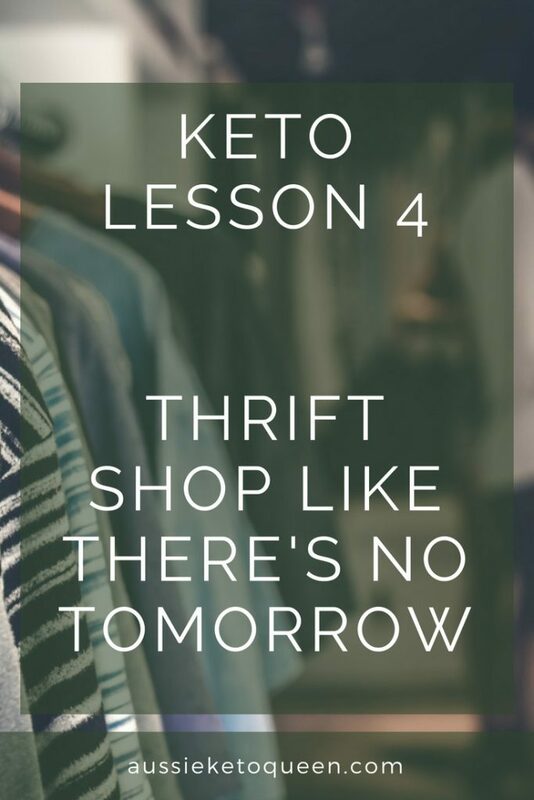 I suggest buying cheap clothes from a thrift store/op shop while losing or talk to friends you know who are doing keto or have lost weight as well. You will go through so many sizes and waste a heap of money if you buy expensive stuff as you start your weight loss journey. Plus, thrift shopping is fun, rewarding, better for the environment and totally on trend. Keto Lessons 5: Don’t try and sell the diet to everyone. Yes, they may ask how you’ve lost weight, but don’t force keto diet down their throat. Don’t worry, I get it – it’s the most amazing and exciting thing ever. You’ve finally figured out how to eat delicious food AND lose weight AND feel amazing. Except, don’t push it too hard. Don’t preach. Choose your audience. Start a website if you must, that’s what I did! Your other option is to find facebook groups that get it. There’s so many different facebook groups out there for Keto, just make sure you find one that suits you. Some are super militant and if you share a photo of non-keto meal, they may track you down and hurt your cat*. Others are a bit more relaxed. Check out my tips on how to explain Keto to people who may not be completely on board. Keto Lessons 6: Sometimes, it’s just impossible to eat Keto. We don’t always have full control of the environment we are in. 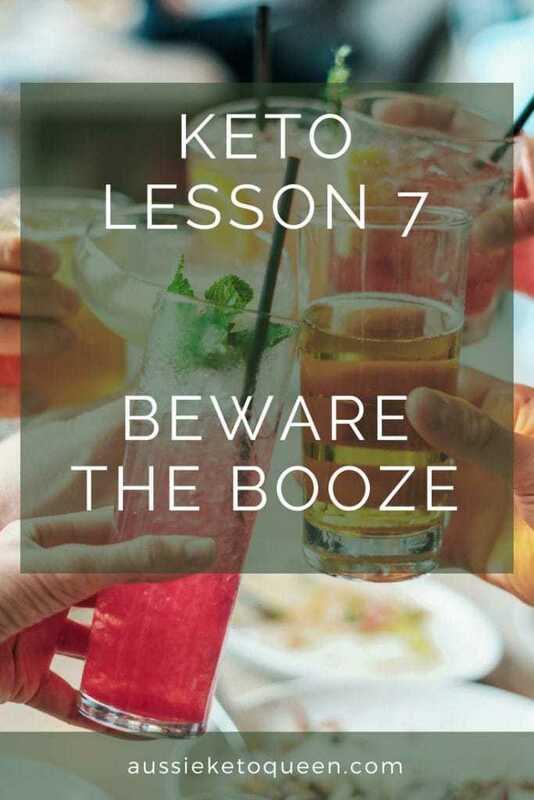 Sticking to a keto diet can be quite a challenge when you are at functions or events, but if you know what is coming up you can at least attempt to plan for it. Weddings, conferences, travels, and honeymoons may make it impossible to always eat keto. But staying keto no matter what can be an amazing experience. With enough planning, you can stay low-carb. Prepare / bring your own keto snacks, call the restaurants/resorts ahead to specify your dietary needs, and choosing the right hotel are some tricks you can do. When it comes down to it though, if this is genuinely a lifestyle for you, let yourself have a little bit. Have a bite of your friend’s dessert. Have one cocktail. Don’t go crazy and don’t have 5 espresso martinis and a kebab for dinner. I’ve tried it, it doesn’t end well. Further to the above espresso martini comment… It’s pretty rough if you do decide to splurge on a boozey night. It’s kind of strange, but there’s some science to why your hangover is so much worse on the keto diet. Your glycogen stores are extremely low when you are on a keto diet. One gram of glycogen is bound to about 4 grams water, meaning you have much less water stored in your body. Alcohol also decreases your body’s production of the antidiuretic hormone, which causes increased urination. This results to the worst hangovers ever . The trick is to figure out what you can and can’t drink and stay hydrated. The usual advice is to drink a glass of water for every shot of alcohol you take. 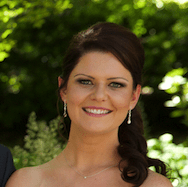 Welcome to Aussie Keto Queen! Here you will find my recipes, tips and research into the Keto way of eating. Join our tribe below to receive updates on new content and the latest news. P.S Looking for the 21 Day Challenge meal plan? Click here!